On July 12, New Jersey Division of Fish & Wildlife expert Michele Smith gave an informative presentation on black bears in New Jersey and in this area. To see a copy of the presentation Ms. Smith gave, click here. (Please be patient, as it takes some time to upload). Each year, the Police Department receives a number of black bear reports from Borough residents, ranging from simple bear ”sightings”, to complaints of the presence of the animals in close proximity to their homes and families. 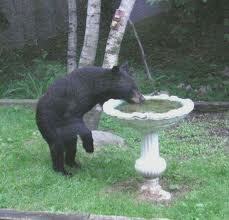 Generally, black bears tend to be solitary animals. 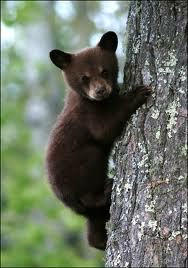 Exceptions to this would be a mother bear with cubs (who may roam), or during breeding season (usually June-July). Do Not Attempt To Feed Bears! 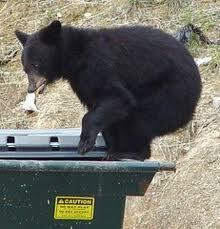 Black bears learn very quickly. Bears that come to associate food with people may become aggressive, and thereby dangerous. Black bears do not typically exhibit aggressive behavior; however, they are large, powerful, wild animals, and should be treated with caution and respect. 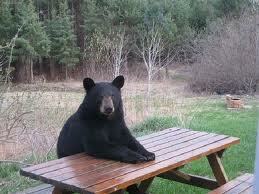 Generally, the mere presence of a bear is not considered to be a problem. If a bear displays an aggressive attitude, the Police Department should be contacted at once. In the event that bears becomes a constant nuisance, or are responsible for continued damage problems, contact the Black Bear Response Unit @ 908-735-8793. After business hours call the Franklin Lakes Police Department @ 201-891-3131 or the toll-free DEP HOTLINE: 877-WARN DEP (877-927-6337). 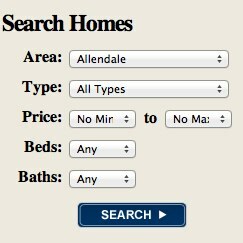 The NJ Department of Environmental Protection, Division of Fish & Wildlife website features many “Bear Facts” and safety tips for homeowners. 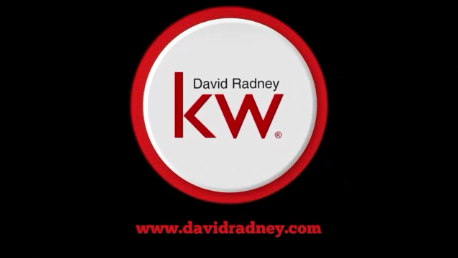 Click here to read more information. 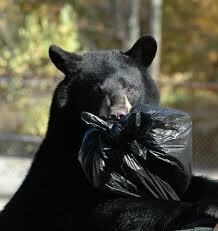 Proper storage of residential trash is an effective method of preventing black bear nuisance problems around homes. All trash (particularly food waste) should be stored in airtight containers, in an area away from the doors of a garage or basement. Trash containers should be washed weekly with a disinfectant solution to remove food odors. The outside feeding of dogs and cats should be done during daylight hours, and the bowl (along with all uneaten food) should be removed immediately after the feeding. Bird feeders should be hung in daylight hours only, and be suspended from a free hanging wire, so that the bottom of the feeder is at least 8 feet off of the ground. Remain calm and make the bear aware of your presence by clapping or talking. Keep at least 15 feet away from, and do not approach, the animal. Allow the bear to be on its way, and make sure that it has an escape route. 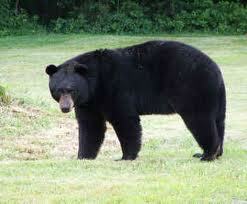 If the bear will not leave, slowly move to your house, a nearby vehicle, or other structure. 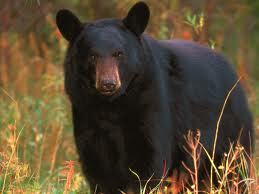 A bear may utter a “huffing” sound, snap its jaws, or swat the ground; these are warning signs that you are too close. In this case slowly back away, avoid direct eye contact, and speak in a calm, assertive, and assuring voice. From a distance, yelling, the banging of pots and pans, or the use of an air horn, may scare the bear away.